VisiQuick helps you to acquire, view, enhance, compare and annotate all your images (x-ray, intra oral, color, and documents), from all digital x-ray systems, or scanners for classical x-rays. VisiQuick integrates with all digital sensors, scanners, digital panoramic devices, digital cameras, imaging plate systems and video sources. Unlike most imaging software vendors, with VisiQuick you can select the hardware you want to use. 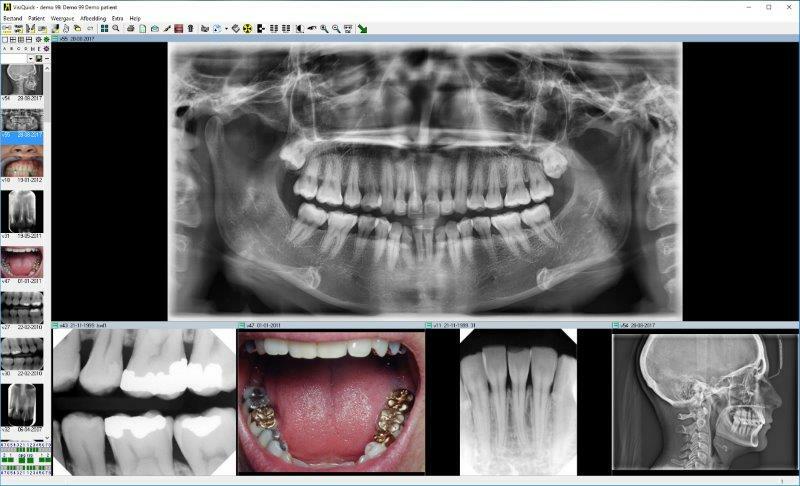 You don’t need to learn three or four different software applications when using VisiQuick for every imaging device. VisiQuick contains several image enhancement functions as well as annotations tools to assist you in your daily work. VisiQuick can work in a local area network, in the cloud or Terminal Server environment. VisiQuick is automatically activated from your patient administration program with the current patient when you want to view stored images or aquire new ones . All patient files can be opened from anywhere in a network. Here you will find the dealers of VisiQuick in Denmark.